This is a promotional video for the Case Partstore Mobile App, created for CNH/Case. 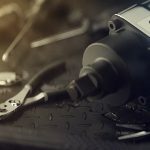 The video introduces online Partstore users to the mobile app and educates them on how they can use the app to manage equipment, order parts and connect with their dealer from anywhere. This video is one of 4 videos created during the launch of mobile apps for Case IH, New Holland, Case Construction and New Holland Construction.